All motorists risk a breakdown, whether they possess a recent vehicle or not. This risk obviously increases with the age of the vehicle and the wear of mechanical parts. A new vehicle is covered by the manufacturer’s warranty: this warranty covers a period ranging from 24 to 84 months, depending on the make and model of the car. But once this warranty has expired, a breakdown can be very expensive for the motorist. Opteven’s My Eco Warranty is open to all owners of pre-owned motor vehicles and motorcycles. 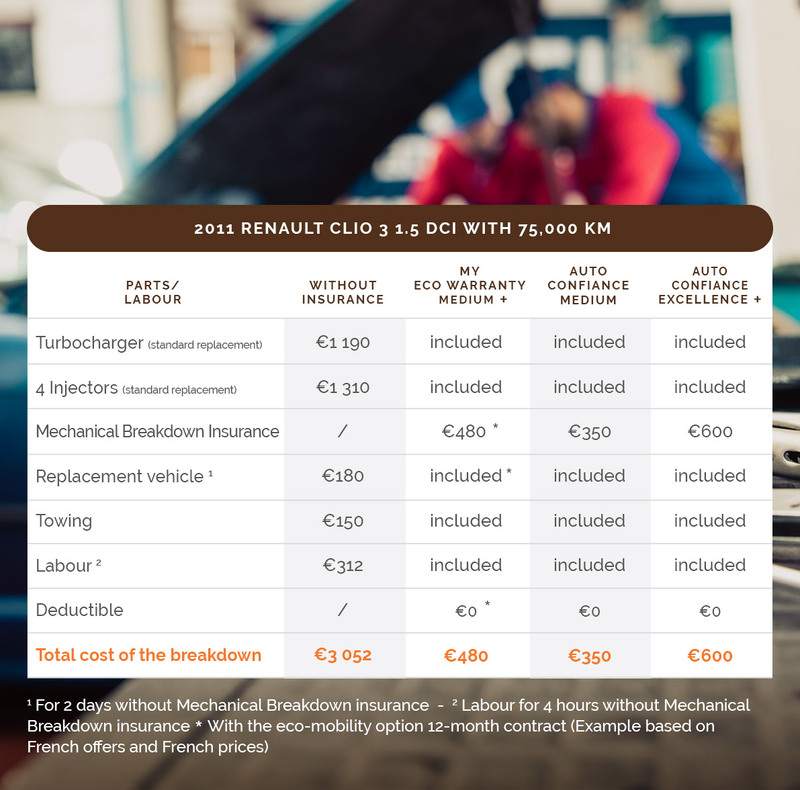 You just need to extend your manufacturer’s warranty with our ‘My Eco Warranty’ to remain covered longer and avoid paying more for a breakdown.